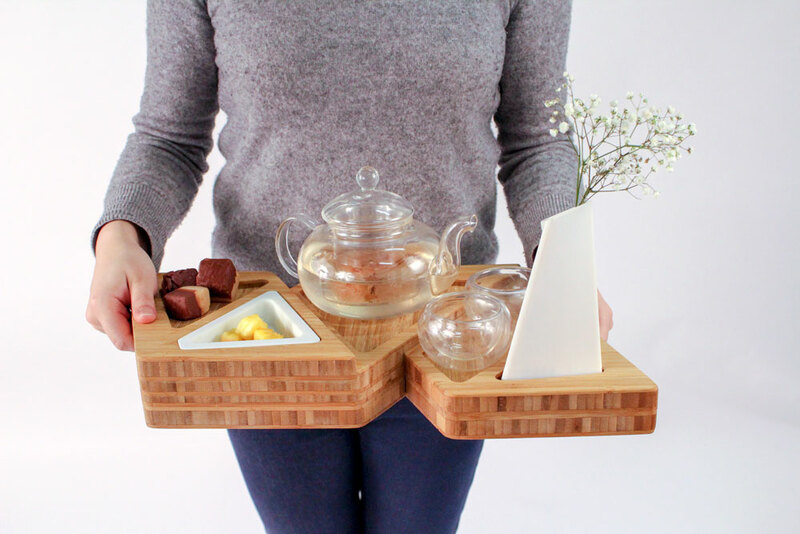 The tea tray is inspired from surface folding and overlapping. 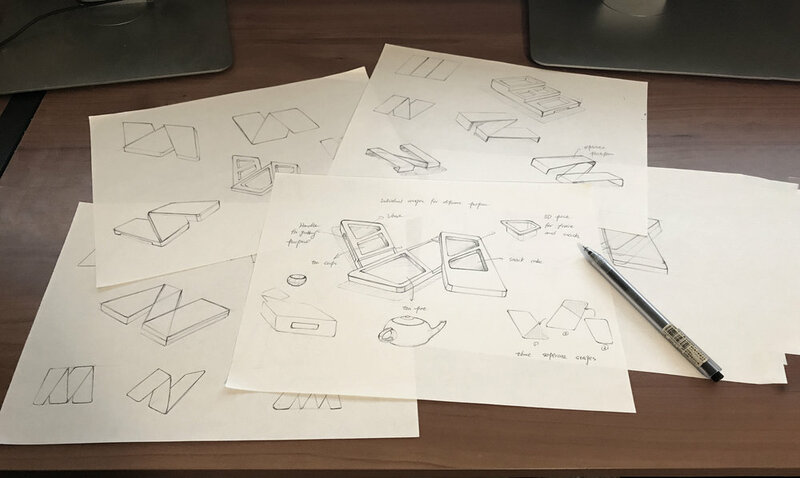 It is created and divided into three sections so that each section can serve different stuff. 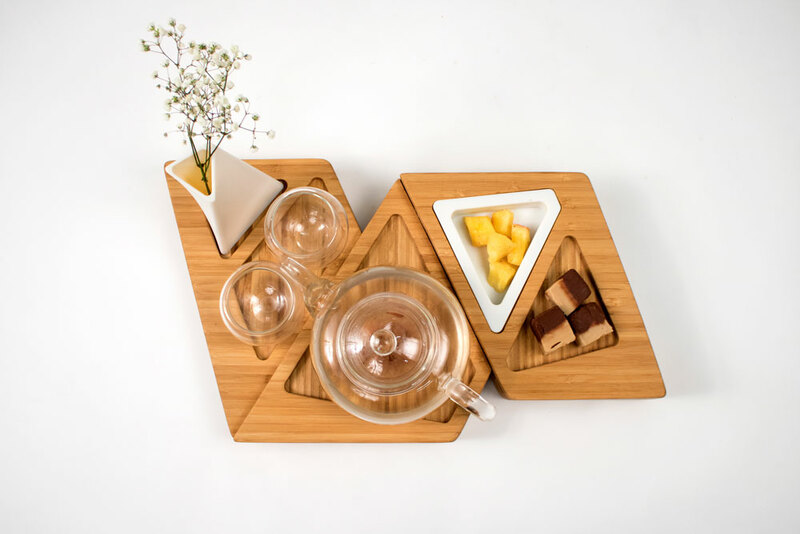 The tray is made of bamboo material and cut by CNC Router. The vase and fruit container is 3D printed in Polyjet material.